Discussion in 'Gen 2 Prius Accessories & Modifications' started by Jason in OZ, Apr 22, 2014. What do you reckon. 403km range. Is it worth it? Will be cheaper than the elusive model 3 if we ever actually get them. 430km is really useful range too. Wouldn’t be many places you couldn’t go in one day. I’m still saving for the Ioniq when they are released later this year. 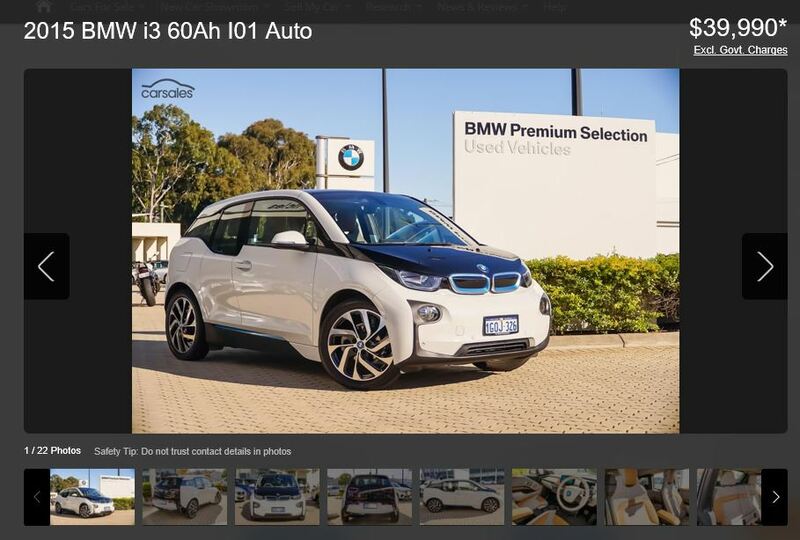 I am also eyeing the BMW i3 2015/16 for around 40k. It looks pretty cool. It has active cruise control where the car speeds and slows down automatically using radar. It uses a 9 litre tank capacity, 2 cylinder scooter engine as a range extender just to charge the HV battery. The whole concept looks pretty cool. 120km ev only range. 320km range using the range extender. I'm tending to go for this option instead of the Zoe as I don't really do that many long trips and I could just get by on refilling the 9L ULP tank any way. I too was thinking about the i3, but was looking at the 94ah range extender. 200km range in ev. And then another 120 on the extender. Trouble is the pricing. New around 80k. That second hand pricing is starting to get tempting. I just found out it only has standard cruise control. Looks like it is the later model that has adaptive cruise control. It is worth paying extra for it. They are like $300 each and there is only one supplier. Plus they have a reputation for easily puncturing. And not so good life span either. I’m still aiming for the ioniq when it arrives. Just found out from dealer that the Zoe does not have adaptive cruise control. Just stanfard. Sounds like they are waiting for the Australian Government to legislate for it. But it does use a camera for emergency braking. You realize our expert @bwilson4web has an i3 with the range extender. He has a thread or 2 describing his experiences and testing. The time has come to sell my Prius plug in. Here are all the details I can remember in one place, but there are bound to be some that I miss. Ready for sale as soon as I take delivery of the new car in 3 or 4 weeks. Batteries still showing near full capacity have not been over charged or discharged. Batteries are GBS 40ah LiFeP04. Approximately 1.5 years old. Should have many years service left. Never been below 2.75v per cell and never above 3.55v per cell. Has onboard BMS and charger. Charger is 1.5kw and will run from a standard Australian 10A wall plug. Will come with 2 cables and a Converter box for 15A to 10A with RCD. One cable for home use and the other kept in the car for on the road use. Car side socket is 15A even though the charger never draws more than 7A. Upgraded front and rear sway bars. Factory leather interior in good condition. Climate control A/C still gets nice and cold. Smart key with keyless entry and ignition. TSHRCA (turn signal activated rear camera) for better rear view when changing lanes. Also needs a new clock spring in the wheel. Some minor scuffs and scrapes to bodywork as should be expected for a car this age. Asking $8,000 or best offer. That’s a bargain for someone, considering all of the time money and effort that’s gone into it. I’m open to sensible offers. I am interested in the Prius. Can please PM me. I can't pm people yet as I haven't posted enough! 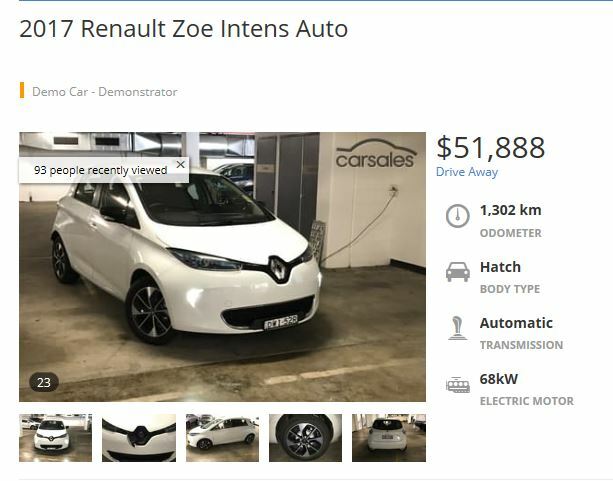 It looks likely that the car has been sold. I have someone flying in next week to come look at and test drive it. If that falls through, I will update. The car has been sold today. I’ll miss it, but it was time to move on. I'm the proud new owner of this great vehicle, I've put roughly 5,000km on it since I took possession and love it. I'm in the midst of replacing the traction battery at the moment because the original has dropped it's bundle and won't hold a charge. I'm planning to replace it with a $400 unit from a local auto wreckers(vehicle dismantler) and after removing the covers from both battery packs, the replacement has clean module connection where the original is very corroded and the replacement has an even 7.6v +/- 0.02v across all 28 cells where the original ranges from 6.0v to 7.6v. I'll load test the replacement and check that all cells hold voltage under load and fit it if it passes muster. lopezjm2001 and Prodigyplace like this. Wow. Kinda knew the original HV was a bit weak, but didn’t think it was quite that bad. Will be interesting to see how the better condition HV pack changes / improves things. I battled for 3 1/2 hrs to get the charger out because one of the rivetnuts in the mounting plate decided to spin rather than let me remove the bolt. That caused sufficient frustration to decide it wasn't going back there, so all the 240vac cabling and gear has come out as well. I'll make up a J1772 socket/plug so I can plug in the 5 amp mains charger at home or any of the charging station when we travel with an adapter cable to suit. Then I'll look at a faster charger to mount in the Prius, probably a 20 amp or 40 amp so it doesn't take 8 hrs or more to recharge the battery at a shopping centre. I'll need to make up a plug to go from the EV Works BMS to the charger that suits both the 5 amp TC charger and what ever higher rate charger I choose to fit later. I'm also looking at a 50 amp Anderson plug set up to direct charge from solar, probably around 10 amps @275v to get all the cells up to 3.6v from fully discharged in roughly 4 to 5 hrs. The original traction battery shows clear signs the electrolyte has been escaping around the terminals on every module and actually splattering onto the metal cover plate, so they have really been coping a hammering by the look of it. I'm now thinking the smell might have been the traction battery and not the PHEV battery. It will also be interesting to see if the traction battery cooling fan settles down as well, it ran flat out when ever the PHEV pack started recharging the traction pack or if we went up a hill. I will be very interested to see your mods. As for the traction fan, it is driven by the plugin system. So once that is on, the fan is basically driven to near full speed. With the system off, it runs as usual from the Toyota ecu. Still will be interested to see what you do to it long term. My main consideration when I chose the 5A charger was that it needed to be able to run on a household circuit that has other appliances on it. So it couldn’t take the full 10A available. Or I would risk tripping fuses. If I was in a position to have a dedicated 15A or more socket, I would have went with a much more powerful charger. Another thing. At the time I built the system, I wasn’t aware that there was a J1772 capable solution that wasn’t that much more costly. Or I would have likley went that way too. Hi Jason, can anything be done to this 5 amp charger to up its output? Or am I looking a new charger for the fast charging option? I thought a bit more last night over a beer or 3 and realised I could mix and match any of the charging options by using the 50 amp Anderson plug that is already part of the system now. Maybe I'll just add the J1772 socket and wire that to a bigger charger as well as a 50 amp Anderson plug near the towbar so I can charge from solar as well ...... and maybe have the 10kWh battery available as a back up power supply if needed. Supposedly there is someone in WA that can re program the TCCH chargers outputs and algorithms. I never looked into it much as I had no need at the time though.  I have no idea if the person exists or even if it can be done. One of the various forums had a reference to someone in WA that could re program the TCCH series of chargers. I think you could also send it to elcon in the USA and have them do it. Though that would be somewhat cost prohibitive. Along with the down time too. I think the forum I read it on might have been endless sphere. Though I can’t be sure. You might also try contacting Geoff at GT tooling. He might have info. He was very helpful for me during the commissioning of the system. Well, I've finally sorted the bugs out and very happy with the replacement traction battery. It appears I managed to score a relatively new battery because it was branded Primearth EV Energy Primearth EV Energy - WikiVisually and looking at the article it appears they didn't start supplying Toyota under that name until 2011. The electric only speed is now better than 86km/h where it would top out at 80km/h before unless it was a down hill run. With the 10kW pack switched off and all the bars green in the touch panel display I can get around 4.5kms @ 80km/h and a bit of hill climbing included. The contactors remain on for a much longer period when charging from the 10kW battery to the traction battery and the current flow is less. Once the contactor clicks out the traction battery seems to hold its voltage for a lot longer now and charges to 75% SOC according to the scan gauge. The trip from the workshop home and return to the workshop would pull the 10kW battery down to 83% SOC or less before, today it was still 95%. Al round, very happy with the result, the charger and associated cabling is now set up so it can be removed and only needed in the vehicle when I plan to be some where that I can get a recharge rather than being in the vehicle full time. This allows me to access the contactor box much easier and gives me somewhere to put the jack and wheel brace. I changed the charger fans from parallel to series wired and that quietened them down a lot. I might add a thermostat later so they don't run constantly as they are now powered by the 12v aux battery. Thermostat idea is a good one. I did consider one also, but as the car was always not near me when charging I didn’t care too much about noise. Backup camera mod 04-05 anyone know the pinout to make this happen? Miami/Ft Lauderdale: can anybody mod Volvo s60 seats for me?